For over 25 years Meetings and Events Australia (MEA) has been recognising excellence in the business events industry through its awards recognition program. The MEA Industry Awards aims to promote and encourage best industry practice within the meetings and events industry, with the 2018 Awards recognising achievements and outstanding work from the period 3 September 2018 – 8 January 2019. The Awards are only open to all financial members of MEA. 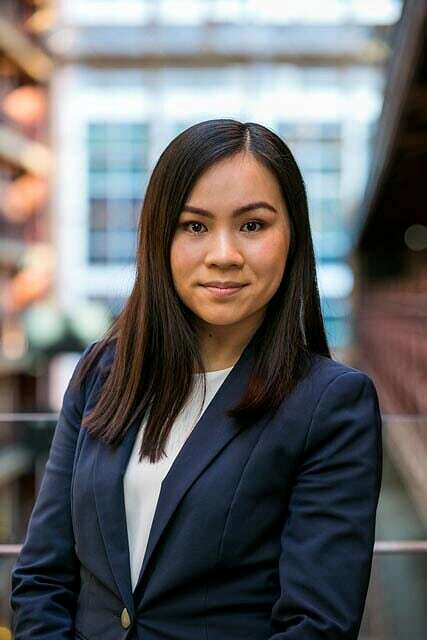 InterContinental Melbourne The Rialto is pleased to announce Lauren Vo, Business Development Executive has been recently announced as a VIC state finalist in the category of Sales, Marketing or Business Development Person of the Year, 2018. Lauren has over 4 years’ experience working in five star luxury hotels, recently celebrating her 2 year anniversary with InterContinental Melbourne The Rialto and having previous worked at the hotel’s sister property InterContinental Adelaide for over 2.5 years. The MEA award application and judging process is vigorous and requires all individuals to submit lengthy case studies outlining contributions to the business’ financial results, key achievements, client and colleague testimonials and contribution to the organization’s growth outlining how the business has benefited from their contributions. Alongside the individual submission, the business is also required to submit supporting case studies to demonstrate sustainable practices within the meetings and events industry. InterContinental Melbourne The Rialto has been recognised by EC3 Global’s Retrofit Building Planning and Design Standard (BPDS) as a Green Globe certified hotel and continues to pursue innovative ways in which to address its environmental impact and sustainability. The hotel proudly showcases sustainability practices hotel wide which is filtered down to the meetings and events policies. Plastic Straw Free – A hotel initiative and an initiative made mandatory by IHG, the restaurant, bars and all events are plastic straw free. Green Globe Certified – the hotel became the world’s first hotel to be Green Globe Certified according to EC3 Global’s Retrofit Building Planning and Design Standard (BPDS). BPDS considers the unique attributes of projects, while providing a framework to champion social, economic and environmental sustainability. Rooftop Herb Garden – located beside the pool is the rooftop garden showcasing an abundance of citrus trees and home grown herbs. This productive and sustainable kitchen garden is a source of fresh ingredients for the restaurant, bars, venues and meetings and events catering. Onsite Beehives – beehives are bring life to the Rialto and Winfield building rooftops and provides honey to the hotel’s kitchen. First introduced in 2010, this hotel was the first hotel in Australia to undertake this ambitious project. The honey is used in cooking, showcased over breakfast and apart of all event catering menus. The winner will be announced on Tuesday 5 March, 2019 at the MEA Awards Evening located at Metropolis Events in Melbourne. The hotel wishes Lauren all the best on the awards night and achieving this outstanding individual recognition in her career.